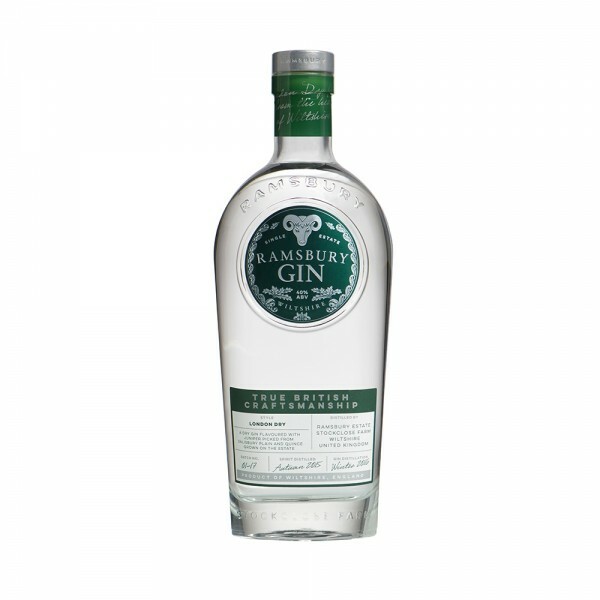 Ramsbury Gin is a classic London dry gin that captures the local British landscape in a bottle. Distilled using Horatio wheat, grown in the fields surrounding the distillery, and locally sourced botanicals including juniper and quince from the Ramsbury estate, this is a fantastic, fresh gin made to the same high standards as the Ramsbury vodka. To taste, floral tones and crisp quince fades into a more savoury juniper, with a refreshing finish and a touch of spice. Serve in a classic G&T with premium indian tonic and wedge of citrus.